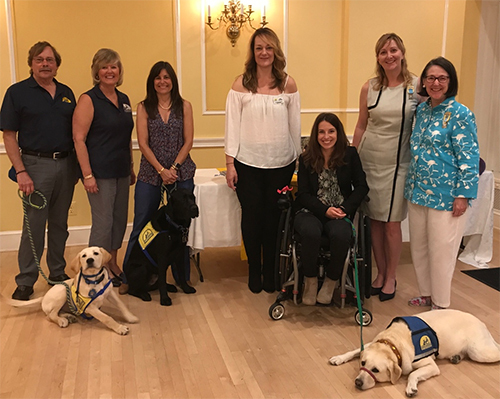 Canine Companions was the special guest of honor at Wednesday's luncheon for the National Society of Colonial Dames in the District of Columbia. The Colonial Dames met Canine Companions service team Dani Schirmer and Zandra of Alexandria, and volunteer puppy raisers Ben and Jackie Cheshire of Great Falls, Virginia with their two pups Ekina and JJ. Dani spoke to the group about how Zandra has been an amazing addition to her life and demonstrated some of the commands she and her dog use each day! The National Society of the Colonial Dames of America is composed of women who are descended from an ancestor who lived in an American Colony before 1776 and whose services were rendered during the Colonial Period. The organization has 45 corporate societies and over 15,000 members. 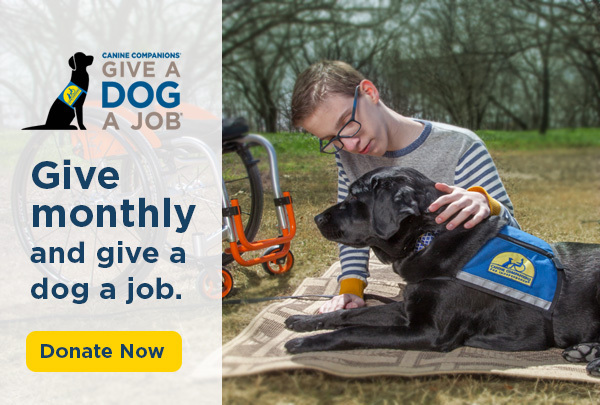 The national headquarters are at Dumbarton House in Georgetown, Washington, D.C.
(L-R: Volunteer puppy raiser Ben Cheshire with JJ; Canine Companions Northeast Executive Director Debra Dougherty; volunteer puppy raiser Jackie Cheshire with Ekina; Northeast Region Senior Director of Development Deb MacKenzie; Canine Companions graduate team Dani Schirmer with Zandra; Ellen Boomer and Louise Beale of the National Society of Colonial Dames of America).